Be careful – Players who choose to exit out of a 2 player game early will now be seen as forfeiting and marked as a loss. You wanted more content so we’ve decided to make all the mini games free to play. 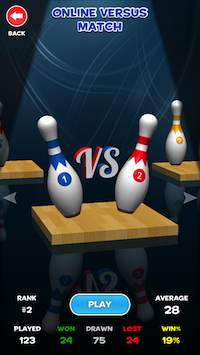 They will test your bowling skill to the limit – see if you can earn a platinum medal to be a master! There’s a new in-app purchase option to remove all ads forever. If you’ve already removed adverts by making a purchase in a previous version then the game will still be advert free. Please make sure to Restore Purchases in the game selection screen to remove adverts if they appear.